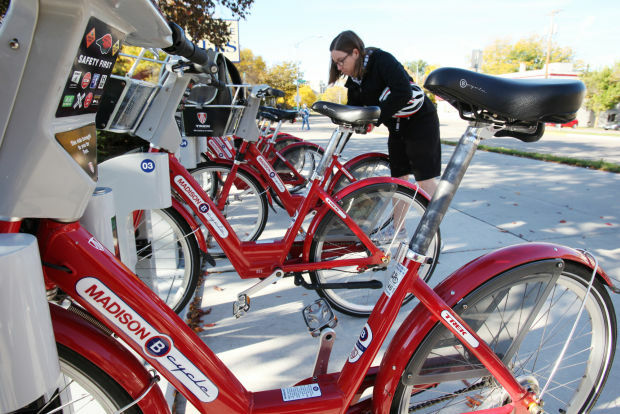 Madison BCycle, Trek’s local bikeshare program, is racking up more and more rides per year. In 2014, the program logged 104,274 total rides, up from 63,325 in 2012. But who’s actually using those red bikes? Data compiled by the bikeshare program suggests that BCycle riders are generally white and hold a college degree — and they make a pretty good living. That’s probably not unexpected, given that UW campus BCycle stations are the busiest in the city. But it’s also consistent with data from other cities, reported by Vox, that show that bikeshare programs are disproportionately utilized by the well-heeled, despite the fact that more of the people who depend on bicycles are low-income. Of respondents, 86 percent described themselves as white, and about 87 percent had a college degree. Genderwise, they were split right down the middle. Thirty percent were between 25 and 34 years of age, and 25 percent were between 35 and 44, meaning that over half were between 25 and 44. Seventy-four percent were employed full-time, and 12 percent were full-time students.